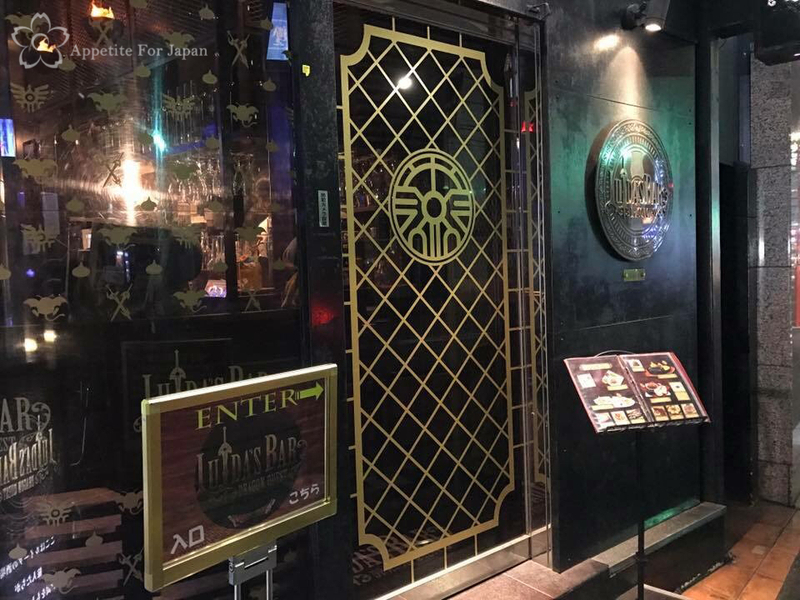 When it comes to video games and themed dining, Japan is where it’s at, so it’s no surprise that there are a few video game themed cafes, bars and restaurants in Tokyo. 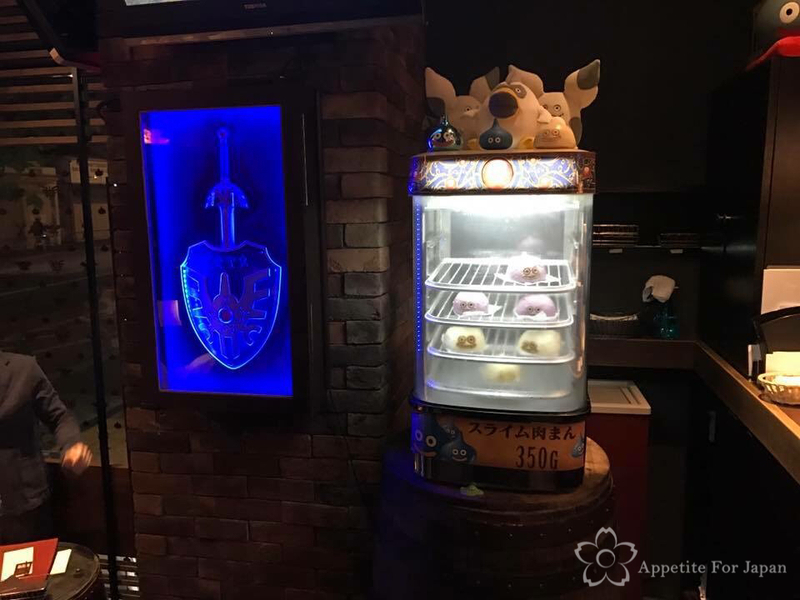 We stopped by Luida’s Bar – the Dragon Quest themed bar in Tokyo’s suburb of Roppongi – to check it out and try a drink. Luida’s Bar serves themed drinks including cocktails, as well as snacks and light meals. There are also a couple of rooms that you can hire out at an additional charge, where you can play Dragon Quest while you drink and dine. 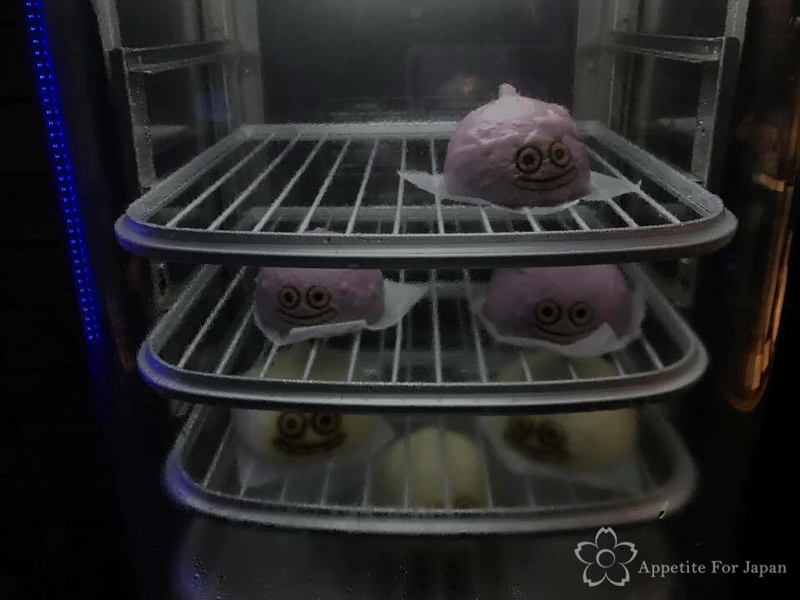 Above: Yes, those are slime dumplings. They’re the size of large meat buns. Like any good themed cafe, bar or restaurant, Luida’s Bar is decked out with all the right decor. 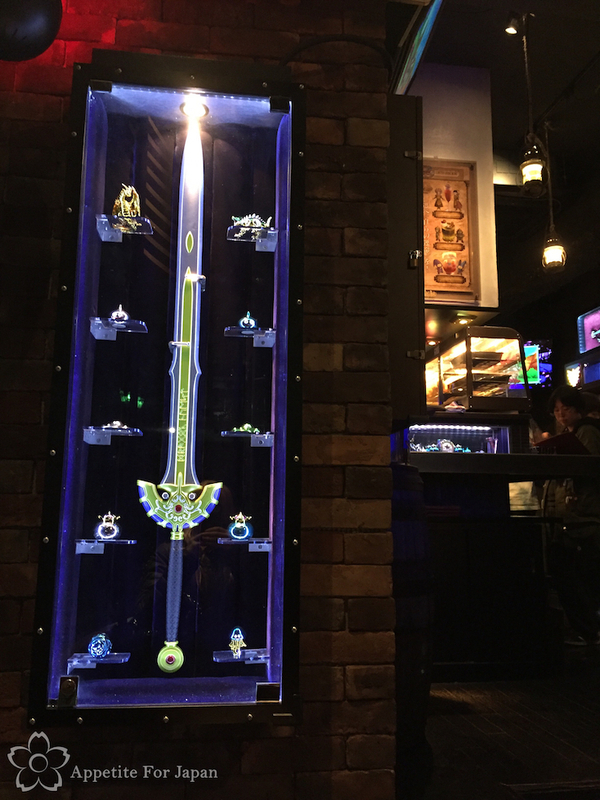 You’ll find life-size replica weapons, imagery from the game and other nods to Dragon Quest around the place. 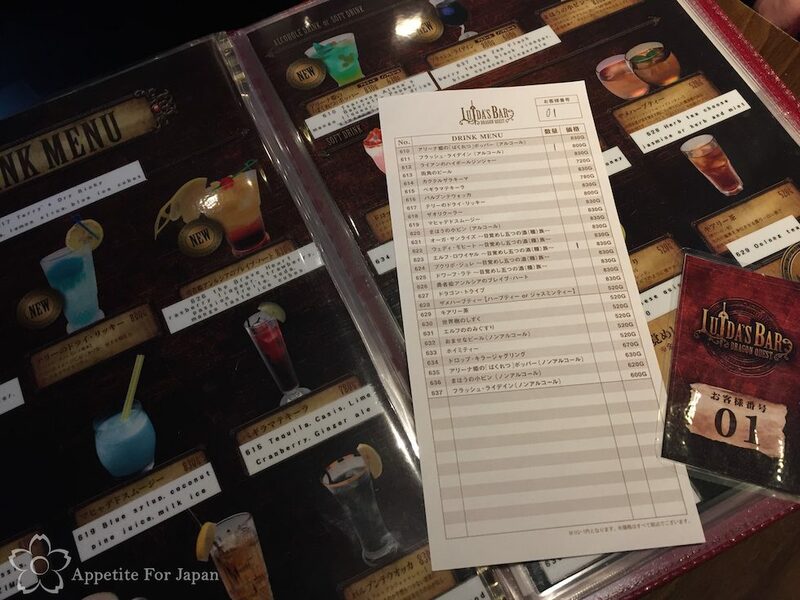 We’ve visited other Square Enix cafes and restaurants including Artnia, Eorzea and the Square Enix Cafe in the past. 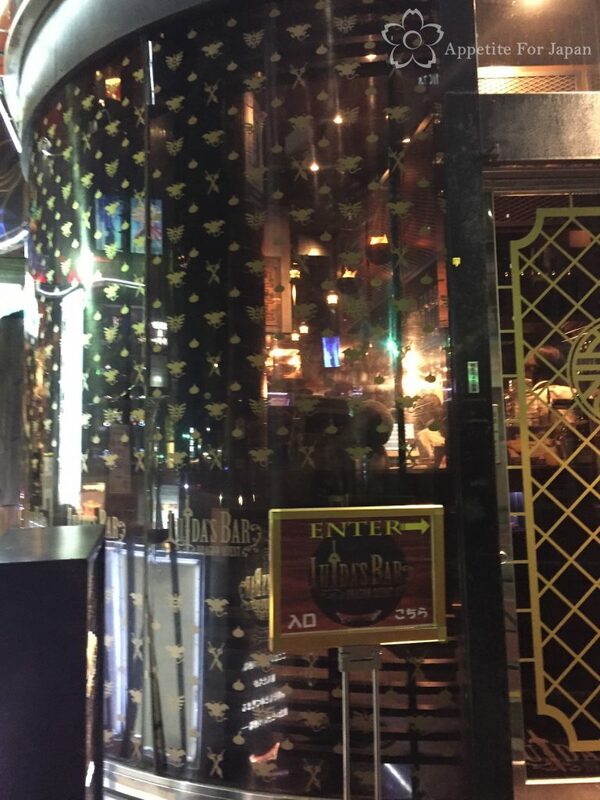 With the exception of Artnia, which is a little more unique in that it’s a shop incorporating a nice little cafe and bar, most Square Enix eateries are much the same. 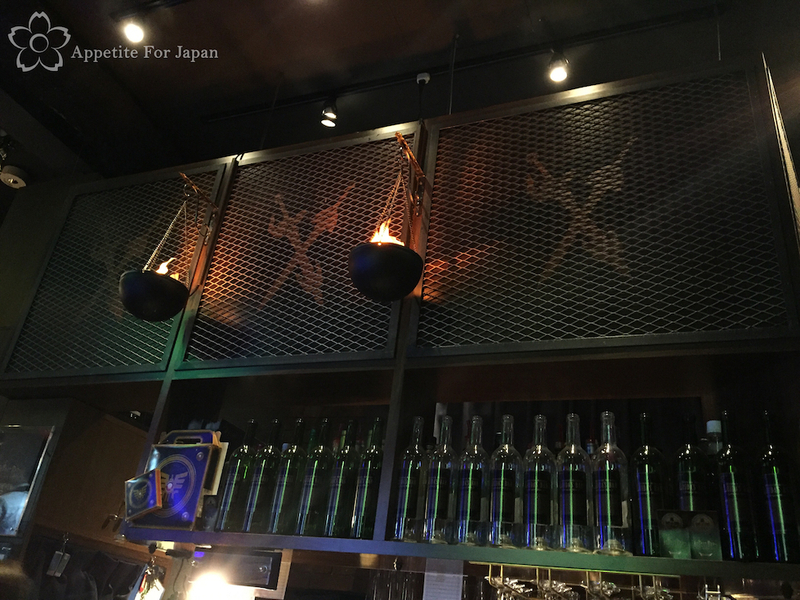 Eorzea, the Square Enix Cafe and Luida’s Bar are all collaborations with entertainment company Pasela, and their food and drink options – and even decor – have all been designed in a similar way. And there’s nothing wrong with that, but if you’ve been to one of them, don’t be surprised if the others seem strangely familiar. We were on our way to dinner at Gonpachi (aka the Kill Bill restaurant), so we simply opted for a quick drink. This also meant that we were able to walk straight in. 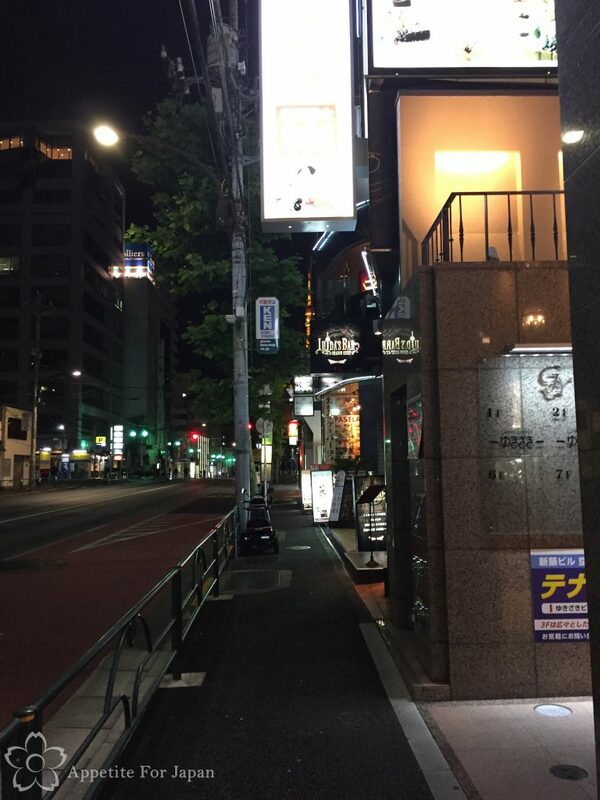 If you want to sit down and eat, you’d be best to make a reservation, which you can either do over the phone (if you don’t speak Japanese, see if your hotel concierge can help) or online. 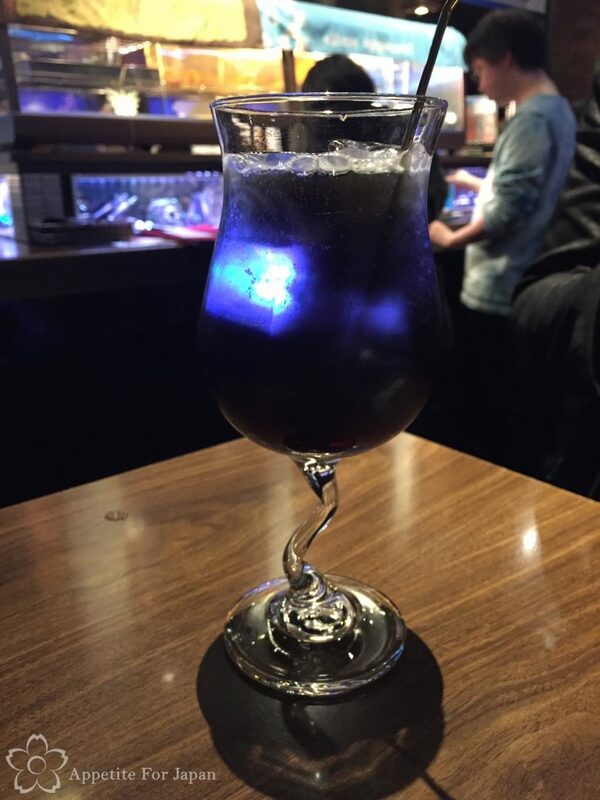 I ordered the Elf Royale (830 Yen), which was made of sparkling wine and cassis, with whipped cassis cream on top. 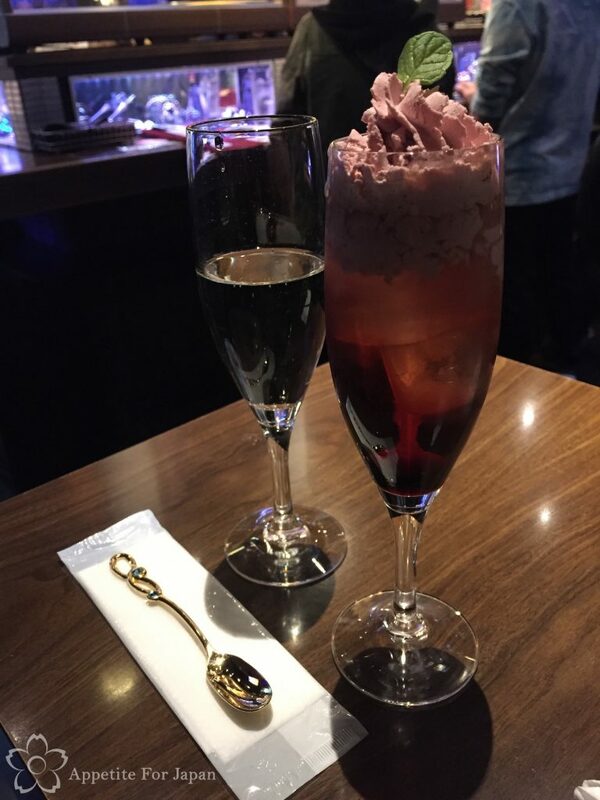 It came with a fancy little spoon to stir/eat the cream (no, the spoon can’t be taken home), and an extra half glass of sparkling wine to top up the drink with. Above: The ordering system is the same as Eorzea. 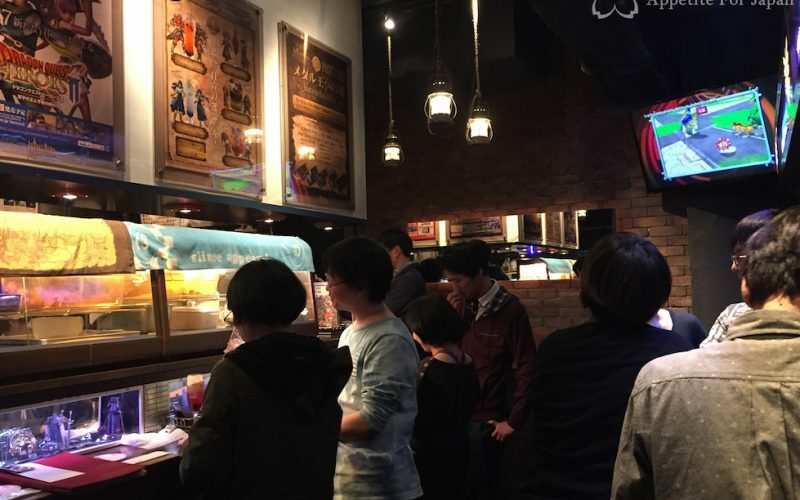 Or should I say, Eorzea uses the same ordering system as Luida’s Bar. All you need to do is find the item that you want from the menu on the little slip of paper, write the quantity for each item, and hand it to the waitstaff. Above: Ah, the ubiquitous Pasela honey bread! 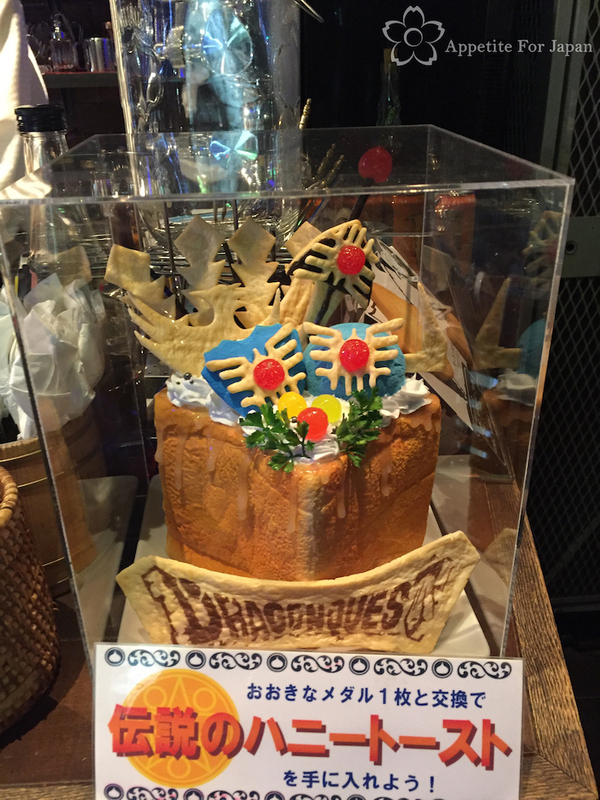 I’m not even certain that they sell it at Luida’s Bar (but you can usually get it at Eorzea), but the ‘fake food’ version was on display. Would I recommend Luida’s Bar? 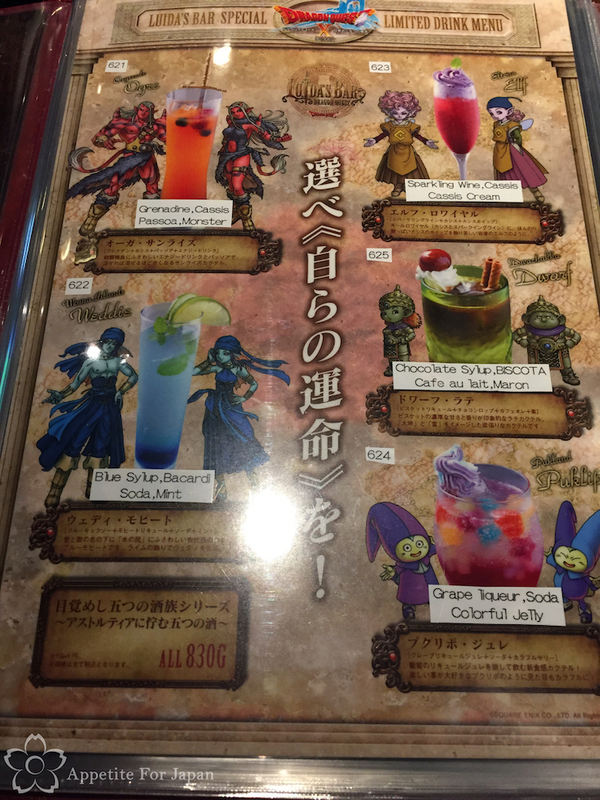 If you’re already in the area and you’re a fan of Dragon Quest and you’re keen to visit a themed bar, then sure. I thought it was okay. 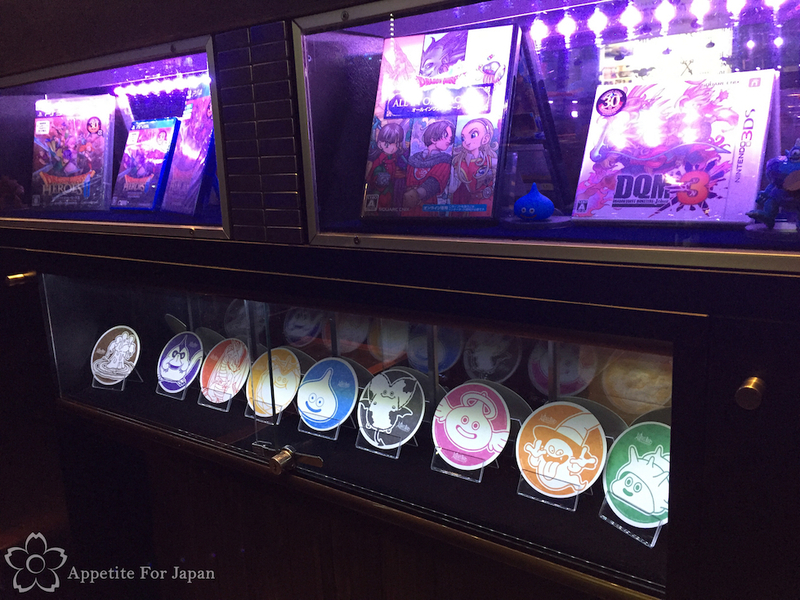 If you’re not into Dragon Quest then it’s probably not worth visiting, as there are other, better themed venues (Eorzea is similar but arguably better, and for a general themed cafe, you can’t go past the Kawaii Monster Cafe). But there’s nothing wrong with Luida’s Bar either. A final thought: Is it just me, or does this wall look like it’s meant to resemble Louis Vuitton monogram detailing? Luida’s Vuitton, anyone?